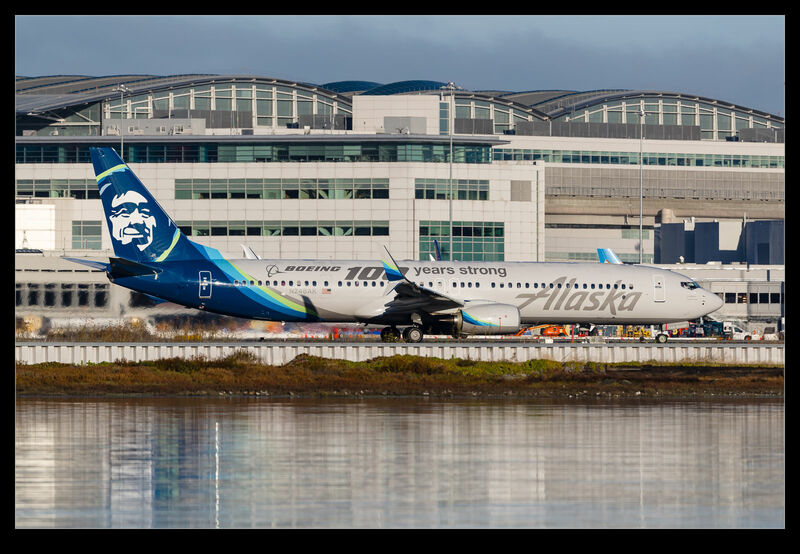 Alaska Airlines makes a big deal about being an “All Boeing” airline (which I assume does not count the Horizon Q400s and the Skywest Embraers). With Boeing celebrating their 100th anniversary, Alaska put some special markings on one of their jets. I was wondering where this jet was operating so I could shoot it but I lost track of it for a while. Then, imagine my surprise when it happened to be at SFO when I was there for something else. It lined up for departure early in the day when the light was best. Thanks Alaska! 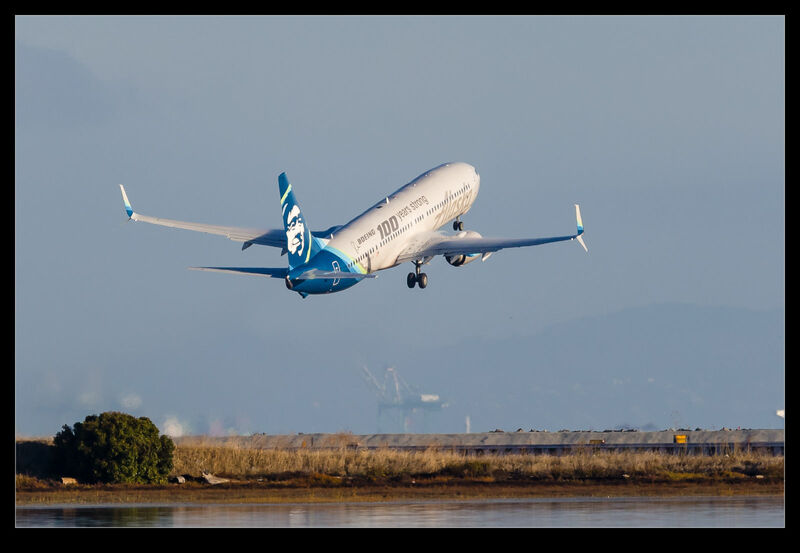 This entry was posted in aircraft, Bay Area, civil, photo and tagged 100th anniversary, 737, aircraft, airliner, airlines, airplane, alaska, Boeing, california, civil, jet, KSFO, photo, san francisco. Bookmark the permalink.